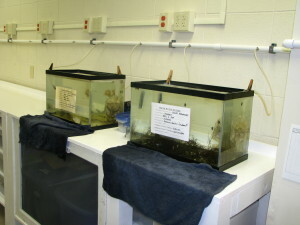 The Grice aquarium room is designated for holding living organisms. College of Charleston faculty, staff and students use these marine specimens for teaching and research. Recently, several improvements were made to increase the room’s safety and functionality. All the air lines have been replaced and the workbenches have been painted. The electrical services have been upgraded to include additional circuits and emergency outlets. A notification system was installed to alert staff members of emergency power outages. Karen K. Martien, Dave Gregovich, Mark V. Bravington, André E. Punt, Allan E. Strand, David A. Tallmon, and Barbara L. Taylor recently published an article titled “TOSSM: an R package for assessing performance of genetic analytical methods in a management context” in Molecular Ecology Resources. Abstract: TOSSM (Testing of Spatial Structure Methods) is a package for testing the performance of genetic analytical methods in a management context. In the tossm package, any method developed to detect population genetic structure can be combined with a mechanism for creating management units (MUs) based on the genetic analysis. The resulting Boundary-Setting Algorithm (BSA) dictates harvest boundaries with a genetic basis. These BSAs can be evaluated with respect to how well the MUs they define meet management objectives. Dr. Natasha Sharp recently joined the Burnett Lab as a postdoctoral researcher and will be further investigating the effects of low dissolved oxygen (hypoxia) and elevated carbon dioxide (hypercapnic hypoxia) on the immune defense of shrimp and blue crab. 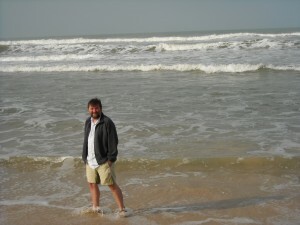 These animals frequently experience these conditions in the shallow coastal waters they inhabit. Originally from New Zealand, she moved to the USA to complete her doctorate under the guidance of Marius Brouwer at the Gulf Coast Research Laboratory, University of Southern Mississippi. 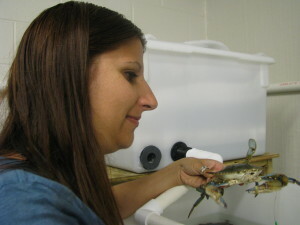 Her dissertation assessed the effects of lipopolysaccharide (LPS) on blue crab (Callinectes sapidus) hemocytes. 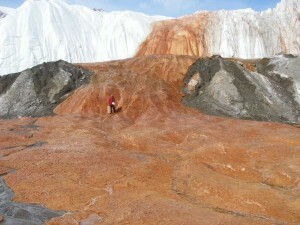 Her research focused on the changes in hemocyte number as well as cytological effects and differential gene expression.